Water rides and similar attractions provide entertainment for people of all ages, and have successfully established themselves in the rapidly growing leisure market. The installations’ pumps and valves face extreme demands during continuous operation and have to meet the highest safety standards. Our pumps and valves do more than just move water to specific locations. They also create those special effects that make theme parks such fun. The huge choice of attractions requires endless variety. 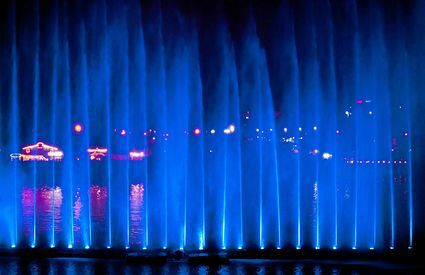 Pumps need to lift water and circulate it, create waves and currents, and simulate rapids, fountains and cascades. Our high-quality products and technology have been proving their worth for decades and will guarantee top reliability and safety for all your installations. 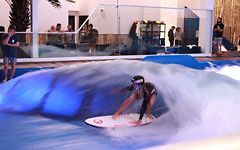 KSB Amacan pumps provide continuous fun for users of the FlowRider surf wave pools at Six Flags in Gurnee, IL and CamelBeach, Tannersville, PA. Wave parks require multiple pumps for an endless ride. Surfing has historically had its own culture and traditions. It is synonymous with beautiful people in beautiful places, living the dream of escaping from their everyday lives. While not everyone lives in Hawaii or California, which supply some of the best natural surf conditions, more people have gained interest in action sports like surfing. This wave of popularity has made surfing a big business. 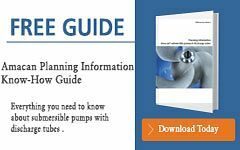 KSB Amacan P pump is easy to install while the pumps' own weight ensures proper seating in the discharge column. No anchoring or anti-rotation elements are required making it a quick and easy installation.